If you've got hair trouble, Prose wants to talk. Editor's Note: Following a consultation with Prose's customer service team, Cassidy is testing a reformulation of her products and will update the article with her new findings in the coming weeks. For many of us, hair care has never been a simple game. While some lucky folks might be happy with the same shampoo and conditioner they’ve been using for years, most of us struggle with finding products that make us look and feel good. Although the beauty industry has made strides in becoming more inclusive in recent years with brands like Briogeo and Form Beauty offering products for all hair types, it’s also flooded the market with products that make bold, confusing, and often contradicting claims. How can a mask both condition and clarify? Is a shampoo that’s organic also cruelty-free? And what’s the deal with parabens and sulfates? This is where Prose comes in. 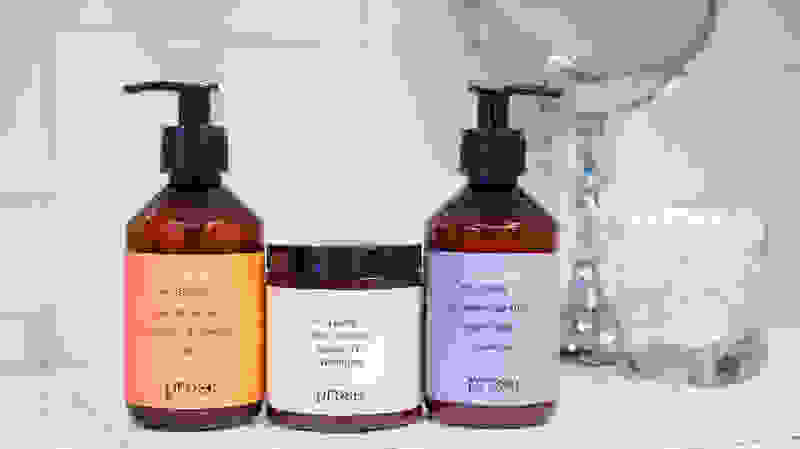 The New York-based hair care company promises to craft a set of custom hair products for each client, based on their individual hair condition, needs, and goals. 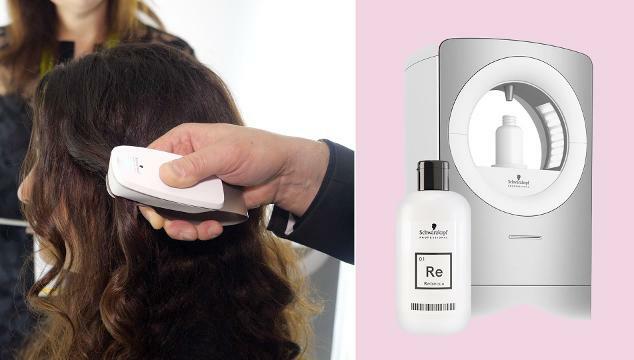 As beauty geeks, professional reviewers, and complicated hair-havers, we were intrigued—so we tested Prose firsthand to see if their tailor-made solutions could actually work on two very different hair types in a way no over-the-counter products had before. 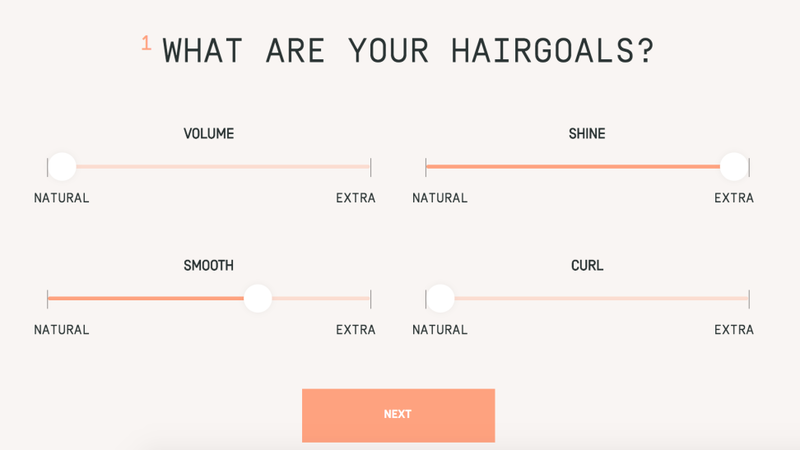 Prose aims to cut through the industry noise and purchasing misfires by using a survey to design a hair regimen made especially for you. This falls in line with a wave of customization that has taken over the beauty industry this year, which we’ve seen in everything from shampoo to foundation and skincare serums. 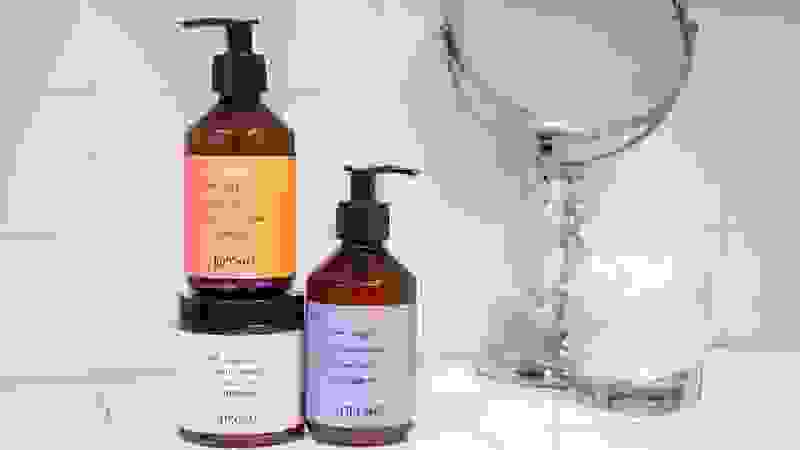 While hair care brands like Function of Beauty and Ouai offer similar hair care customization services, Prose claims to set itself apart from the competition by offering one of the most thorough consultation processes on the market. The result? A custom shampoo, conditioner, and mask, each made from a combination of 76 possible ingredients, with instructions on how and when to use each product. All products are free from parabens, dyes, sulfates, and other controversial or artificial ingredients. These custom products don’t come cheap—one 8.5-ounce bottle of shampoo and conditioner each cost $25 to $32, depending on your formula and the concentration of active ingredients, and the mask can cost anywhere from $38 to $48. I’m Cassidy, and unlike my editor and fellow tester, Jess, I barely know what I’m doing with my hair. 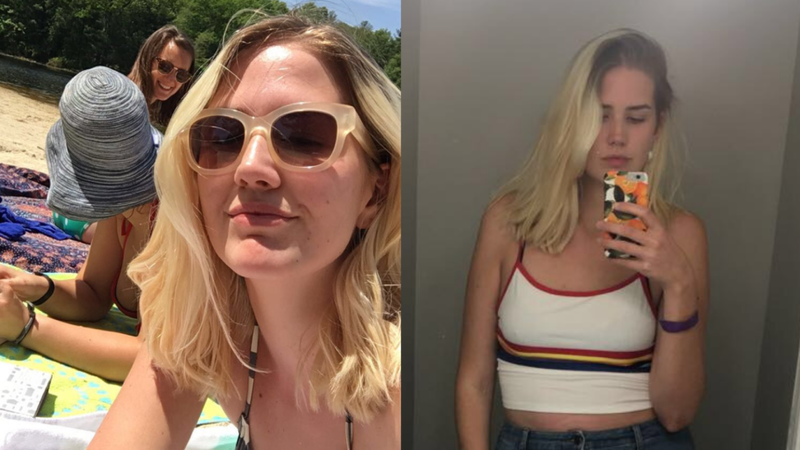 Like many, I was a blonde child whose hair turned dark as they aged, and now I can’t un-see myself as a blonde despite my now-naturally brownish hair. This has led to a lot of processing and experimentation—I’ve bleached, dyed, and chopped my hair so many times in the past 3 years that the original texture and color is something of a mystery to me. At the outset of my Prose trial, I was dealing with a lot of damage from bleach—and my trips to the beach didn't help. At the time we heard about Prose, my hair was looking pretty worse for wear. I hadn’t been to a salon in 5 months and hadn’t bleached my hair in 8 months, meaning I had long, brown roots and yellowish-blonde ends as a result of going pink and it fading out over the white base. My ends were dry and breaking, and my scalp was oily and acne-prone thanks to changing medication and good old hormonal swings. On the opposite end of the hair spectrum there’s Jess, Reviewed’s health and beauty features editor. In her words, “Not only do I professionally abuse my hair by testing hair tools and products on it for a living, but I often experiment with new styles and hair treatments regularly. 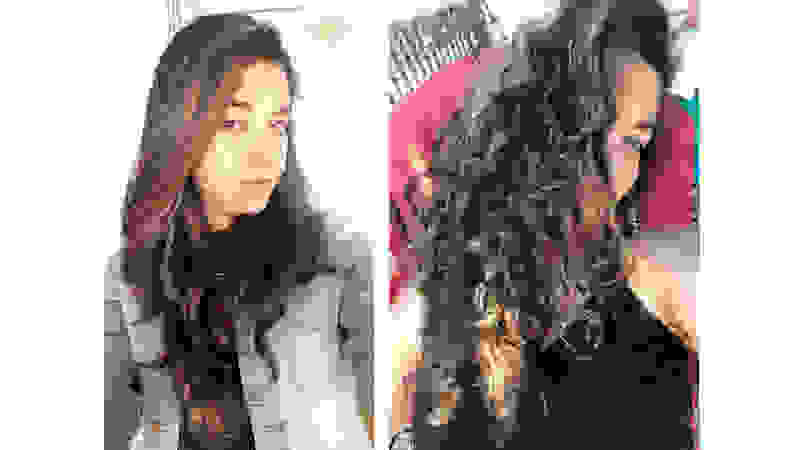 What results, unshockingly, is damaged ends and breakage on my already-dry, thick, curly hair. I highlight my super-dark locks fairly regularly, yet don’t cut it often enough to keep it ‘healthy,’ as my stylist likes to remind me. Between Jess’ hair—thick, damaged, and curly, with a dry scalp—and my own hair—fine, straight, over-processed, with an oily scalp— we aimed to see if Prose could help our very different hair situations and goals. While Jess wanted smoothness and scalp hydration, I desired volume, shine, and scalp balance. The survey: While nothing about this 76-ingredient, heavily customized process sounds simple, Prose’s survey was just that, a 25-question quiz filled with direct, jargon-free questions, such as, “How much of your scalp can you see on the top of your head?” and “What are your hair goals?” They also take into account how often you exercise, if and when you heat style your hair, and the climate you live in, down to the zip code. 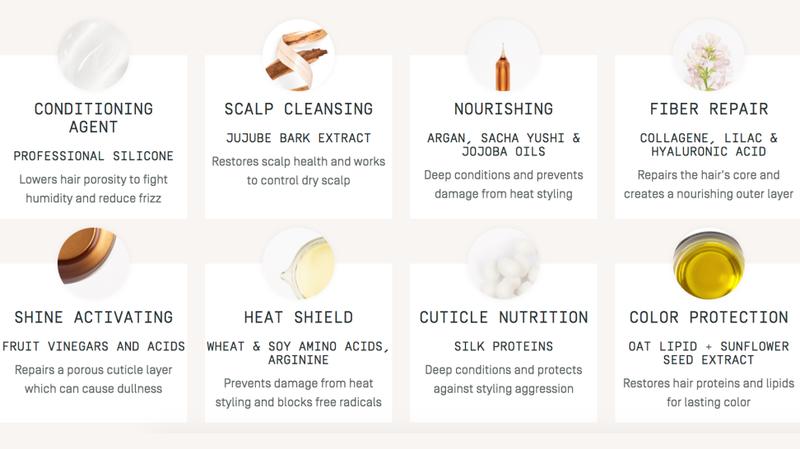 After answering all questions and choosing between four scents, Prose generated a breakdown of each of our hair and scalp characteristics, followed by the ingredients in each of our products. Though we each have very different hair types and hair goals, at first glance, there appeared to be a lot of ingredient overlap in our formulations—only upon receiving our products and reading the full ingredient breakdown did we see the true customization. The unique formulations: In Jess’s survey, she indicated that she wanted smoothness and shine, and no volume or curl (“got plenty, thanks”). Her resulting concoction was said to be designed to focus largely on dryness, sensitivity, dandruff, and damage. Though my hair is much more fine than Jess’s and our hair analyses were very different, our resulting shampoo, conditioner, and mask concoctions looked similar on the website. That raised a flag, considering there are so many possible combinations. However, upon receiving the actual products and being directed by Prose to look at our full, detailed ingredient list, it was apparent that our formulations were actually quite distinct. Jess' formulation included cuticle nutrition to protect against styling, and scalp-cleansing jujube bark extract to restore scalp health, while my own formula had an additional ingredient for smoothing and an antioxidant component to rebalance the scalp, among other things. We consulted with Prose and also discovered that the concentration of each ingredient used varies person to person and product to product. While Prose's website tends to highlight the same eye-catching ingredients for different customers, it's clear that there is more going in to each product than what you see after your survey. At first glance, our resulting product formulations were quite similar—but the ingredient breakdown that came packaged with our products revealed how distinct they really were. The delivery and usability: The products arrived quickly in neat, apothecary-style bottles with our names on them. Fun! The shampoo bottle said I was a “fitness lover,” which is up for debate, and Jess’s oddly said “body boost,” though she specifically said she wanted zero additional volume. Prose clearly tried to generate cute labels based on our surveys, nonetheless. The accompanying instructions told us to use the shampoo and conditioner every other day, and the mask just once a week. Three pumps of shampoo, two pumps of conditioner, and one scoop of mask. I have a pretty bad memory, but it all was simple enough for me to remember. Prose products come labeled with your name and other cute characteristics on the bottle—but calling me a "fitness lover" is a bit of a stretch. The mask: I kicked off the product cycle on a Sunday with the scalp mask, followed by the shampoo and conditioner. The scalp mask smelled nice and had a shiny, somewhat thin consistency that went on easily, though was difficult to scoop from the jar. I had to fight the urge to slather on more than was recommended, but I trusted the instructions and used one scoop. The only problem? The mask had to sit on my wet hair for 15 minutes, meaning I had to climb in the shower, wet my hair, apply the mask, and then get out and wait. I felt stupid wandering out into my apartment dripping with a product, so I sat in the bathroom on my phone for a while. Jess, in the meantime, hung her head over her kitchen sink the first go-round, and aimlessly stood in her shower staring at her watch the second week. Luxury! Over multiple uses of the mask, I learned to just apply as soon as I got in the shower and go about the rest of my routine before washing it out—I didn't always hit the 15-minute mark, but it got the job done. Upon washing out the mask, my hair felt like it had already seen conditioner, and left an oily-like film on Jess’ scalp, which she said “made me wonder if it would rinse clean, but was probably soothing for my dry scalp.” We each followed with the shampoo and conditioner as directed. The shampoo and conditioner: The shampoo was a thick, clear product that produced a decent amount of suds for a sulfate-free product. The conditioner was thinner than I like—although I have fine hair, I have a lot of it, and this stuff didn’t seem like it could coat and detangle every strand. The directions said to run a comb through my hair while I conditioned, but even my Wet Brush couldn’t handle the regular bleached-to-death hair knots I always get in the shower. Jess told me that she used several pumps of conditioner that barely saturated her thick hair before she gave up and opted for her go-to deep conditioner—”using just the Prose conditioner, there was no way I could get out of the shower without a mass of tangles,” she says. She didn't (i.e. couldn't) use it moving forward. The results: We were both pleasantly surprised to find how balanced our respective scalps felt for those first few days after the scalp mask. I noticed a considerable change in my scalp health as a result of the mask. Less acne, less sebum build-up, and less visible oil in the second day after showering. Jess, for the first time, saw zero flakes on her scalp post-shower. But towards the end of each week, we each noticed our old scalp characteristics popping back up, and re-masking was the only thing that seemed to change that. The mask didn’t seem to have long-term healing efficacy, but more seemed to work like a Band-Aid. By the end of our respective runs with Prose, we were both, coincidentally, due for salon appointments—we each got a haircut, and color, which always makes you feel fresh and silky-maned. When I returned to Prose, my feelings about the products were mostly unchanged. The mask was perfect for me, and the shampoo and conditioner were just alright, no better or worse than stuff I was picking up before. However, I found that the conditioner could now de-knot my hair without additional smoothing spray, likely due to the deep conditioning treatment I received at the salon. It goes to show no that regular shampoo and conditioner can replace essential salon maintenance of color-treated hair. Salon visits helped us manage our hair damage in a way no shampoo and conditioner could. My follow-up and reformulation: After our initial publication of this article, Prose reached out to discuss their process and offered me a new consultation with their customer service team to potentially improve my formula. They explained that a 100% satisfaction guarantee is offered to all customers, although the page that explains how and when to contact customer service about it is rather hidden on the Prose website. Still eager for the best hair possible and hopeful that the service could wow me with some formula re-tweaking, I accepted. I chatted on the phone with a customer service representative about what I like and didn't like about my existing products, and she suggested I go fragrance-free, try a mask for my ends in addition to the one for my scalp, and get a more hydrating conditioner. According to Prose, this reformulation process is most often conducted over email—or simply by re-taking the survey on the website. I understand Prose may not have the bandwidth to handle phone calls for all their customers interested in reformulation, but my phone call was incredibly helpful, and I hope they can offer the same one-on-one time to customers in the future. I also hope that Prose considers offering two masks—one for roots, one for ends—to interested customers who have both scalp and ends issues like myself. I'm now in the process of testing a new shampoo, conditioner, and a mask for my ends, and will update this article in the coming weeks with my findings. 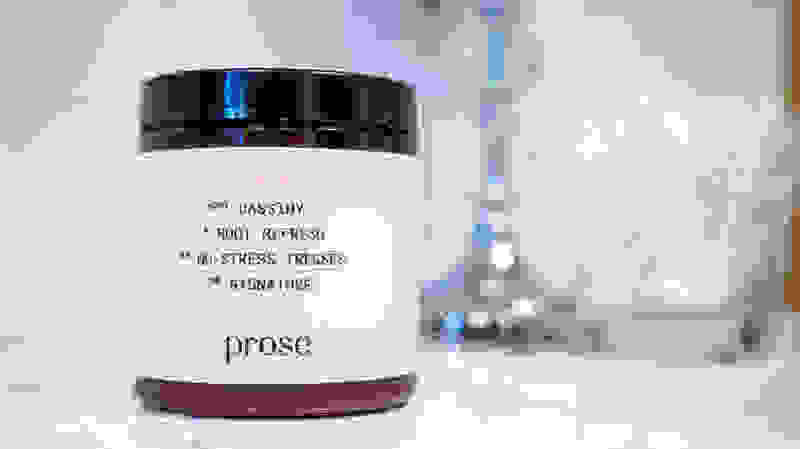 Our journey with Prose was full of highs and lows, from our thorough consultation process and excellent mask treatments to our disappointing conditioners. In the end, Jess didn’t see enough results from the actual products to justify their price tag—but I am holding out hope that my formulation improves enough to recommend the service. 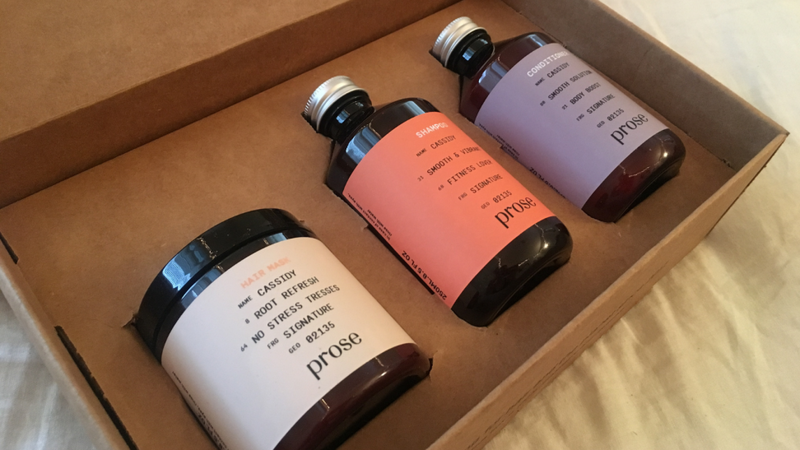 If you’re looking for a fun way to experiment with natural products or introduce ingredients you haven’t tried before, Prose is a professional and enjoyable service. Having special bottles labeled with your name delivered to your door is fun—it makes you feel pampered and in-control in a way that grabbing shampoo from the drugstore just does not. But is it worth the price? That's up to you. Jess didn’t see enough results from the actual products to justify their price tag—but I am holding out hope that my formulation improves enough to recommend the service. The fact that Jess and I were both disappointed with our conditioners makes me hesitant to say yes, but because it's a truly customizable, personal service with a 100% satisfaction guarantee, there's a chance that my new formula will wow me in a way no other products have before. 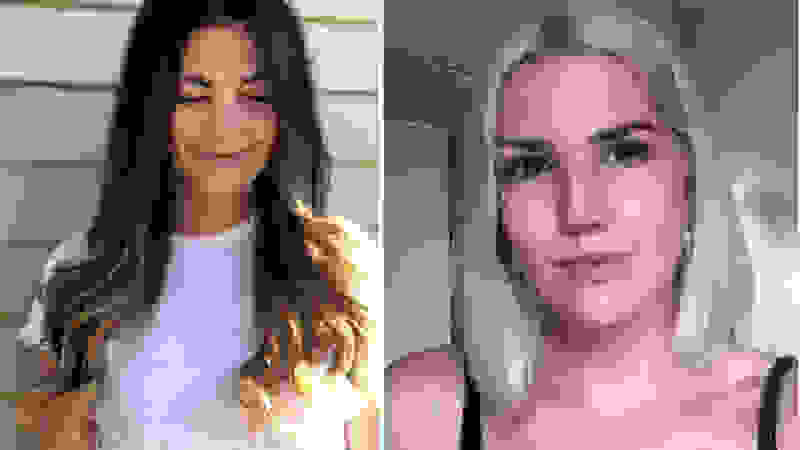 And for some people who already spend an arm and a leg on a million different products in order to manage their dry, oily, color-treated, or difficult hair, the simplicity of Prose more than justifies the price. Try Prose Hair Care here.